When fall comes around, it’s easy to shift your travel focus away from the coast. 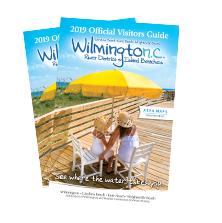 But in Wilmington, mild temperatures, fewer crowds, special off-season deals, and our version of fall colors – green and brown sea oats, corals and oranges from an oceanfront sunrise or riverfront sunset – make Wilmington and its Island Beaches the perfect fall destination. Oysterberfest is the new Oktoberfest. Wrightsville Beach opted to put a seasonal seaside twist on the popular fall fest. On Oct. 21, Wrightsville Beach Brewery will host Oysterberfest, an all-day oyster roast and German cuisine festival featuring fall beers and live music in the beer garden. Prost! Fall festivals are just part of Wilmington’s culture. Wilmington’s Annual Riverfest, Oct. 7-8, features a street fair with special exhibits, vendors selling art and homemade crafts, competitions, fireworks, and more than 30 food vendors – and yes, they will be selling plenty of fall treats. Think beers you’ve never had and breweries you’ve never heard of – the 4th Annual VORACIOUS Rare Beer Festival on Oct. 27 takes place on the Battleship NORTH CAROLINA. If that’s not enough, beer and wine lovers can rejoice later in the month at Lighthouse Beer and Wine’s Beer & Wine Festival on Oct. 28. This yearly event, featuring more than 100 craft breweries and wineries, is guaranteed to be your best beer and wine tasting day of the year. It’s Halloween season. Go for the scare. Wilmington is considered by many ghostly experts to be one of the most haunted cities in the country. The Ghost Walk of Old Wilmington was named one of the “Top 5 Ghost Walks in America” by USA TODAY and has been featured on Discovery, the History & Travel Channels, MTV’s Fear and more. If you’re brave enough, journey into the darker side of old Wilmington on this 90-minute tour of the city’s most haunted homes and burial grounds. 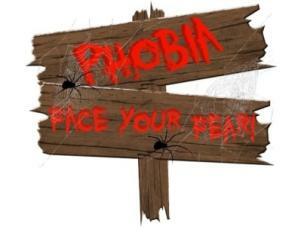 If this isn’t scary enough for you, try to take on Phobia Haunted Trail’s Carnevil in the Woods. 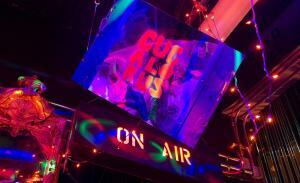 This haunted trail features scary carnival scenes and clowns from your worst nightmares to keep you on edge. If you feel more confident taking on ghost town with a beer in hand, we don’t really blame you. Haunted Wilmington also offers a 2.5-hour Haunted Pub Crawl that’s been featured in Southern Living and Our State Magazine. Eat and drink pumpkin everything. 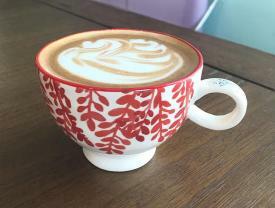 Start right away with a pumpkin spice latte from one of the Wilmington area’s favorite coffee shops. At Bespoke Coffee & Dry Goods, you’ll find Counter Culture Coffee blended with pumpkin spice syrup throughout fall. If you’d rather enjoy your coffee at the beach, head to SUNdays at Wrightsville Beach for a pumpkin spice latte. For a pumpkin treat that you can eat, try a pumpkin pie donut from Wake N Bake Donuts, named “Best Donut Shop” in North Carolina by Buzzfeed. Wake N Bake has two locations, one at Carolina Beach and one in downtown Wilmington. Beer drinkers can rejoice as well: Wilmington Brewing Company serves a Pretty Pumpkin Ale made from Apple Annie’s Bake Shop pumpkin pies. Or feel free to make a night of it Oct. 21 during the Great Pumpkin Beer Tour, which goes to Fermental, The Brewer’s Kettle, Wilmington Brewing Company and more to sample the best pumpkin beers in town. Buy your own pumpkin. Who doesn’t enjoy decorating and carving pumpkins in the fall? Visit one of Wilmington’s farmers&apos; markets including The Farmers Market at Poplar Grove or Downtown Wilmington’s Riverfront Farmers Market for a massive selection of pumpkins. If you’re not a fan of DIY, simply walk through the markets to make the most of a fall day. Enjoy live music. The Shell Wilmington is a brand new outdoor venue located in Port City Marina that’s surrounded by water on three sides. If the view doesn’t make it unforgettable enough, the hot spot will bring in big names like Nelly and Dwight Yoakam this fall. 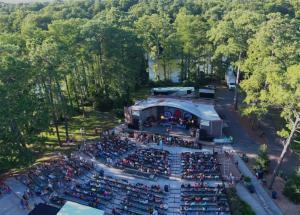 Greenfield Lake Amphitheater also has a long list of upcoming shows that are not to be missed including the Steep Canyon Rangers and Lettuce. 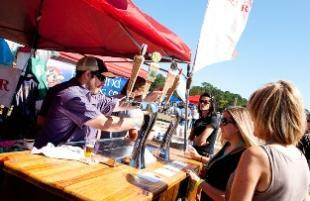 Down the road, there are several fall music festivals at Carolina and Kure Beach. Boogie in the Park at Kure Beach’s Ocean Front Park runs until Oct. 15, the Pleasure Island Seafood, Blues and Jazz Festival at Fort Fisher Military Recreation Area takes place Oct. 14-15, and the Kure Beach Farewell Summer Jazz Funeral will be Oct. 6, also at Ocean Front Park. Fall in love with one of the largest film festivals in the South. The 23rd Annual Cucalorus Festival takes place Nov. 8-12 in downtown Wilmington. This one-of-a-kind festival celebrates independent and international film, with more than 300 film screenings each year. Movie aficionados are guaranteed to find a film that interests them, with dance programs, music videos, and works from emerging artists. Come see why MovieMaker Magazine has recognized this festival as “One of the Coolest Film Festivals in the World” for three years in a row. Celebrate Thanksgiving, coastal style. There’s no better way to celebrate Thanksgiving and usher in the holiday season ahead than with the North Carolina Holiday Flotilla at Wrightsville Beach. 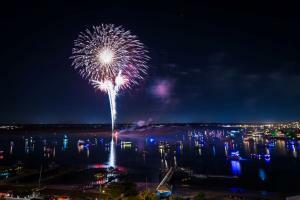 This Southern coastal version of a holiday parade includes a weekend full of activities leading up to the main event of themed boats decked out in holiday lights making their way through the Intracoastal Waterway followed by a spectacular fireworks show. The 34th annual event will be held on Friday and Saturday, Nov. 24-25.